to our historic downtown festivities. Andrea Morris has offered this beautiful Nutcracker painting a raffle prize with the proceeds to go to the gallery! This generous donation will be put out for the November Second Saturday and left up until the drawing to be held Dec. 20th. Tickets will be $1 each or 6 for $5, 12 for $10 or 25 for $20. ​I have been experimenting with trying to create interesting backgrounds for my subjects. I spent a lot of time playing around with acrylic pouring and ended up with a lot of canvases with beautiful designs, but I wanted more as these looks were easily created by any one. The magic of Acrylic Pouring is you never know what you will end up with, so the anticipation begins. You pick a color scheme that is interesting to you and then you do your pour and cross your fingers that something interestingly beautiful will appear. The demonstration will show you step by step how to do an acrylic pour . Then I will demonstrate how I choose subject matter to be painted on top of the pours. 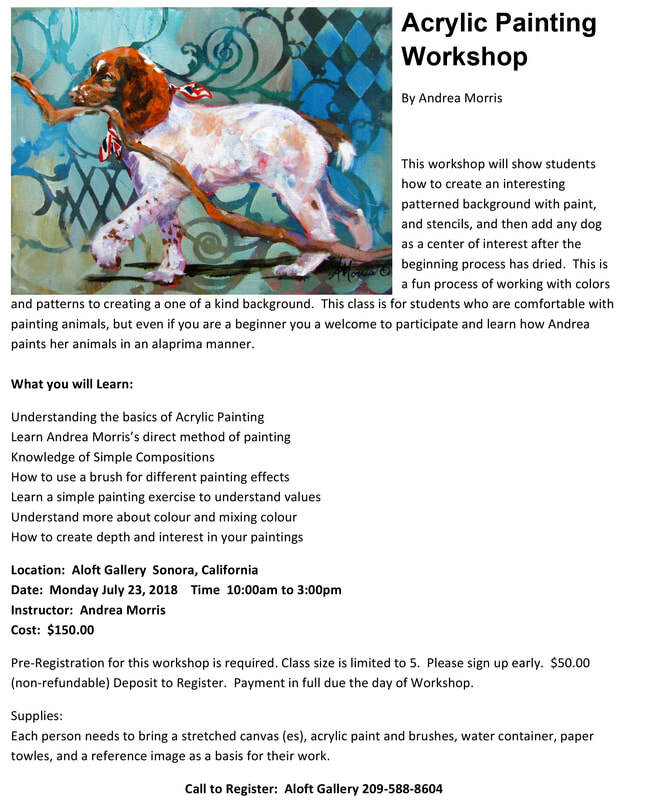 So come and enjoy the possibilities of acrylic pouring! 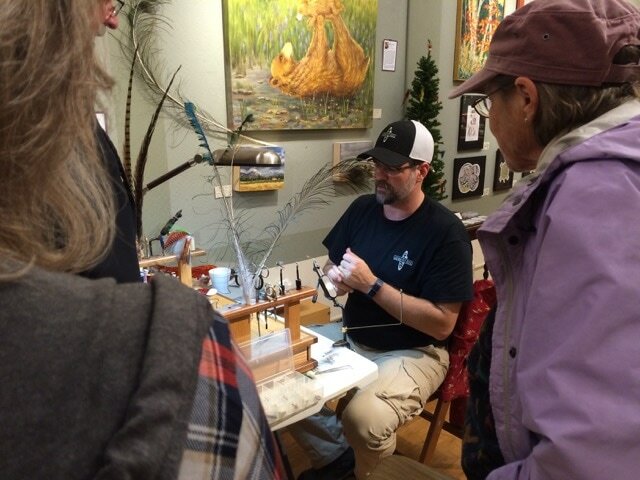 At 2nd Saturday Art Night on April 14th John Sharum will be demonstrating the art of woodblock printing. During the session, he will show how to transfer an image to a wood block, how to carve the block and how to hand print it using water based inks. He will talk about the history of woodblock printing and show examples of both Western and Eastern styles of woodblock prints. He will discuss the materials required to hand print your own prints and where you can locate them. Originally from Michigan, John moved to Angels Camp in 2013 after living in Belgium, Texas and the Bay Area. Retired after thirty years in international business, he has pursued art in earnest since 2002. Using elements of line, color and value, John explores images of people and places that have moved him. When asked about the different types of printing John replied, “I like woodblock printing very much. I pursued it initially because you can make prints without requiring an expensive press. Linoleum block prints have a similar sensibility, but lack the “grain effect” you get with wood. I also do etching, drypoint and aquatint prints in various combinations of these techniques depending on the image I am trying to produce. These do require a press to produce. I also paint directly on to plexiglass and run it through a press to make a print called a monoprint. It combines painting and printmaking and can lead to some very wonderful results. Many of John’s ideas for art come from his own photographs. The Gold Country with its rich history and dramatic landscapes and fascinating people, provides one current theme in his work. Normally several hours go into every new print. Once an image is selected and refined it is transferred to the block. Test prints are made and the block recut as necessary before final printing begins. If you are lucky, this is a few hours over a few days of critically evaluating the print. Since each print is hand done, the inking and burnishing usually takes an hour for each print. Any of these printing techniques are accessible to learn through classes, workshops and online demonstrations and there are “how to “ books that cover the landscape of printmaking quite well. All you need is curiosity and a willingness to experiment. Starting the new year with some new artwork and new Artists! This SALE will now continue through December! 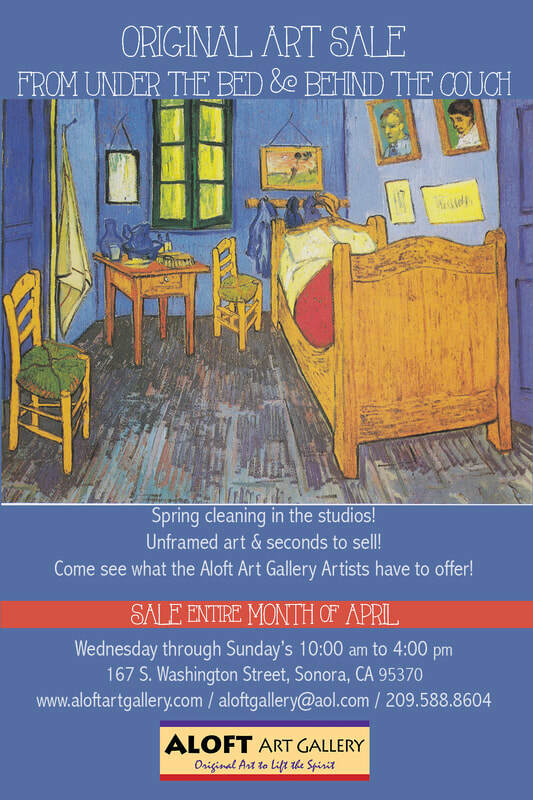 ​The Aloft Art Gallery will be having a very unusual SALE. “Under the Bed and Behind the Couch.” Unframed, matted art and ceramic seconds, all at SALE PRICES to start everyone’s Holiday Shopping Experience. Beginning Friday November 24th and running through the holiday weekend, in collaboration with the Sonora Chamber of Commerce and the Downtown Merchants Shop Small Shop Local event! 10:00 am - 4:00 pm Friday - Sunday. There will also be "Holiday Smalls" available for everyone’s shopping pleasure! The Gallery is Honored to be featuring DORIS OLSEN on two 2nd Saturdays! ​On 2nd Saturday Art night on November 11th and December 9th the Gallery is honored to have Doris Olsen coming to do an art demonstration. Come watch her paint and then bid for a chance to own her piece when it's finished! For Doris the creative need was there from the beginning. She took her first art classes at the new school in Greenwich Village, the Art Students League in New York City and then the Academy of Art in San Francisco. Doris painted continuously while raising a family and attending painting workshops across the U.S. and Europe (a favorite thing to do). Persistance paid off and she has shown work in galleries in New Jersey and Hawaii, participated in many art & wine festivals and shows her work locally in Gold Country galleries in California. She has participated in miniature art shows in Washington D.C., She won a first prize with a geranium still life and a flower market in Germany and has won purchase awards for the Kaiser Hospitals in California. Many of Doris’s paintings and commissions hang in private collections in the U.S. and Europe and she continues to strive for excellence and "beautiful passages" in all of her paintings. Doris has painted many iconic scenes of Tuolumne County and her work hangs in many home in our county! The Aloft Art Gallery is so excited to have Leslie Hurst as our demonstration guest artist on October 14th 2nd Saturday Art Night from 5:00 -8:00 pm! Leslie Hailey Hurst is an oil painter who lives and works in Jamestown California. She graduated from Washington State University with a Bachelor degree in Fine Arts. 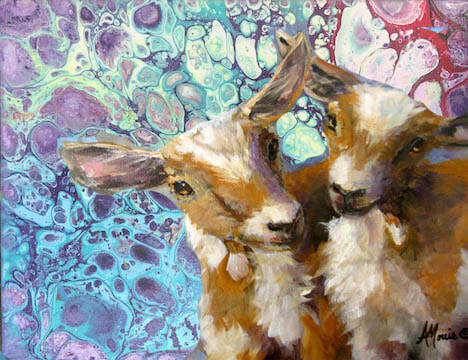 After raising her children, she returned to painting more than a decade ago. To round out the other corners of her life, Hurst also owns and operates Woods Creek Olive Oil Company, and is a principal partner in Table Mountain Beef- a niche marketing company selling local beef. This past year she added wine to her full roster, releasing her first wine made from grapes grown on the ranch. Leslie travels extensively – painting in Alaska, France, Hong Kong, and Italy. Leslie's expressionistic painting style is open and loose. Her landscape and still-life paintings are infused with light and contemplative space. Her love of saturated and heightened color brings a dynamic sense of feeling and place to her work. 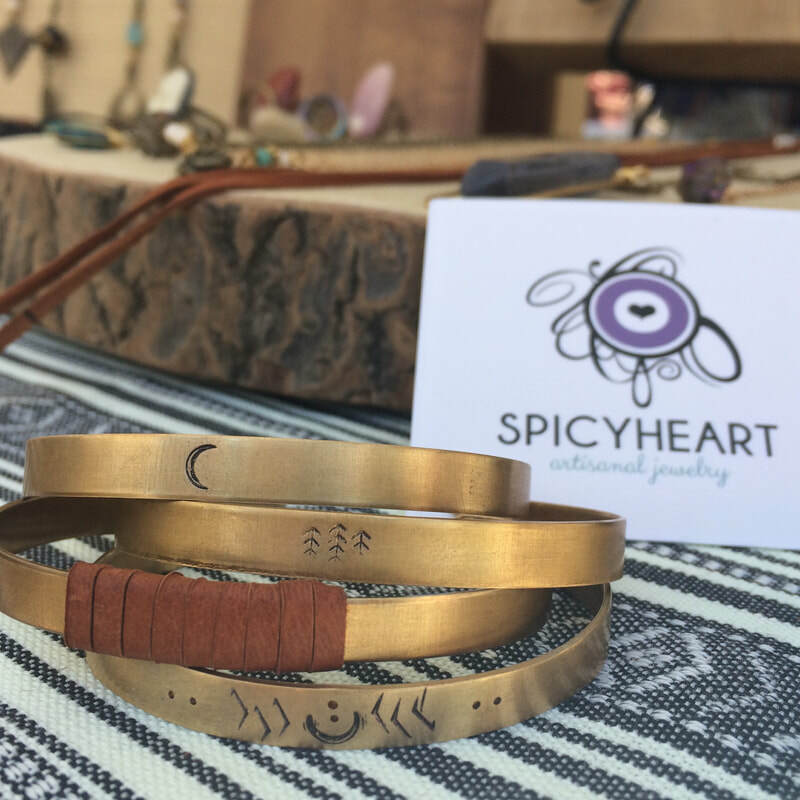 Alicia will be demonstrating her jewelry skills at 2nd Saturday Art Night in September! Her art is very organic. 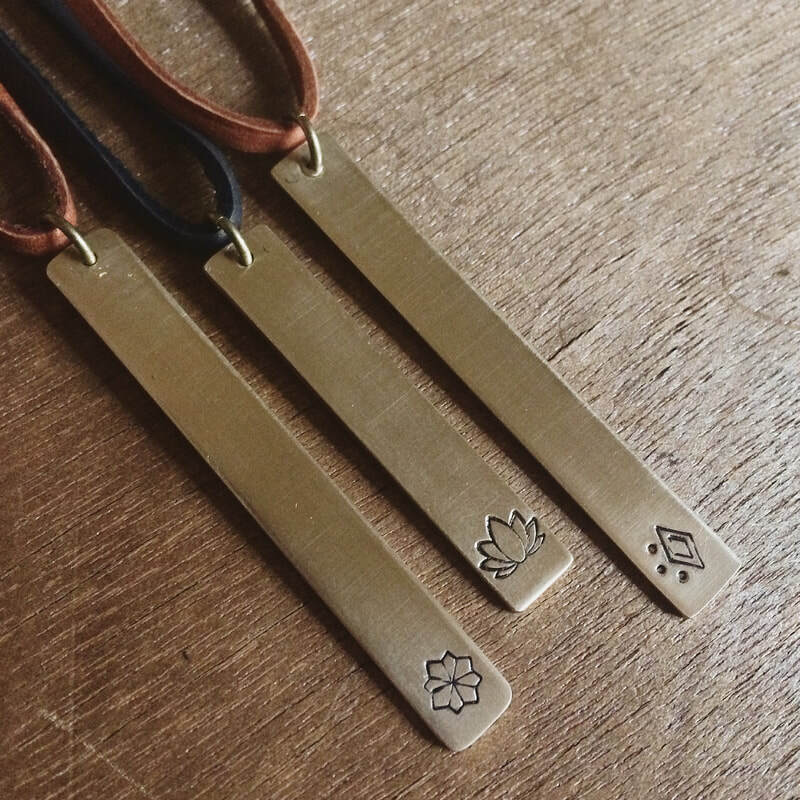 She works with metal and shapes the pieces paying attention to details. She is currently using a lot of crystals and gemstones. She is trying new techniques, playing with patinas, aging or antiquing and contrasting them with other raw metals. Sometimes she will stamp them or add geometric shapes by edging the pieces. She will be creating one-of-a-kind pieces, after all Mother Nature doesn't make two things exactly the same! Come down and see what she creates before your very eyes! Thumby's, plant picks and mighty Minnie's will be created in front of your very eyes by KINA on the second Saturday in August. Come join the fun. Bring your children and give them a chance to create their own. KINA will take them home and fire them for the kids and return them to the gallery for you to pick up. Thimby's, plant picks and mighty Minnie's will also be for sale. George Allen Durkee is a San Francisco street artist turned Northern California landscape painter. He has been a contributing writer for The Artist’s Magazine and American Artist and is author of Expressive Oil Painting - An Open Air Approach to Creative Landscapes (North Light 2009). George produces entertaining and informative videos about painting which are free to view on YouTube. George Allen Durkee is an oil painter, author and video producer. An academic underachiever and a troublemaker, George ran away from home at the age of 14 and lived in a neighborhood park. As a young man, he became interested in oil painting while working in an apple orchard near Yakima, Washington. Living far from any art school, George enrolled in a correspondence course and worked nights as a janitor while studying fine art with an emphasis in oil painting. After completing the four year course, he quit the night job to paint full time. As an emerging artist with little access to the world of upscale galleries, George loved painting outdoors in public as a way to market his work. In 1976 Durkee relocated to Eureka, California, but found himself traveling frequently to larger towns in order to paint and sell his work. He moved to Portland, Oregon four years later. 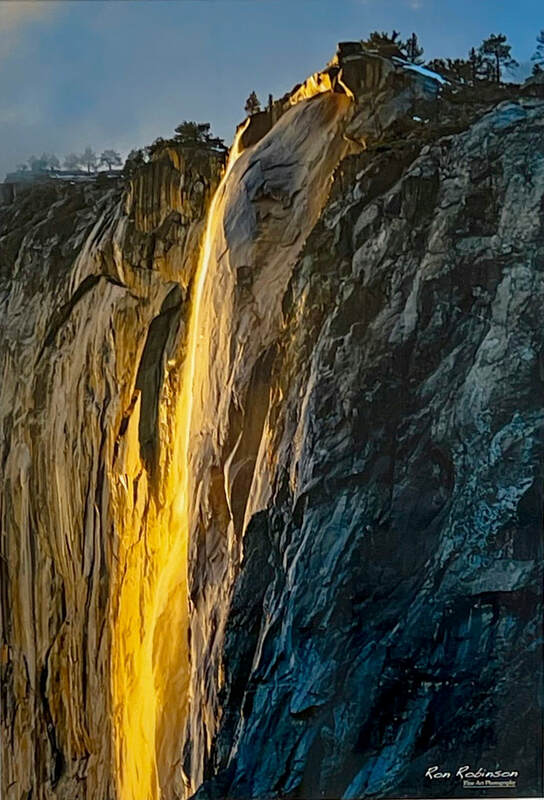 Too cold and wet to paint outdoors during the winter months, he began seasonal migrations to southern California while living in his Dodge van. He eventually settled in San Francisco where he contracted with an art dealer who paid for the cost of picture frames and guaranteed his income. But George soon experienced “philosophical differences” with the dealer and struck off on his own. 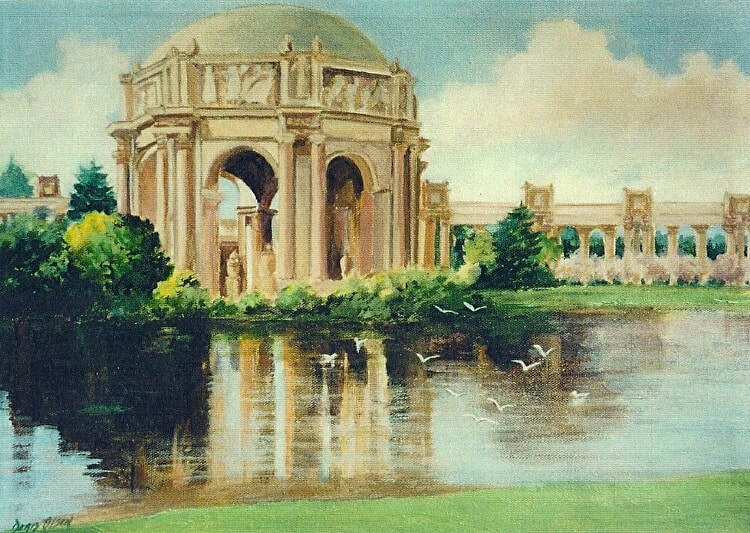 Painting in public for the next eighteen years, he developed an enthusiastic following for his San Francisco cityscapes. 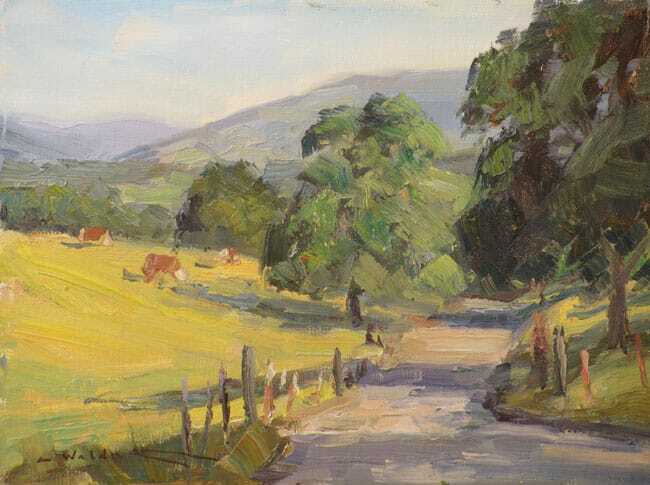 In 2001, George moved to the foothills of the Sierra Nevada in Northern California to paint landscapes. Known as “Geo” to family and friends. ​Fishing has been a family tradition for me since early childhood, my mother taught me to fish at early times at a local pond. As a teen my grandfather would take my brother and I fishing in the mountains. My dream was always to learn fly fishing once relocated to the Motherlode it was the perfect chance. It's been a life's dream fulfilled and I'm now teaching my children to fly fish. With that came the passion of tying. Nothing is more gratifying than being in a river fishing with flies I've made and my wife painting on the shore. my wife's craft of painting inspires me to work on my art which is fly tying! 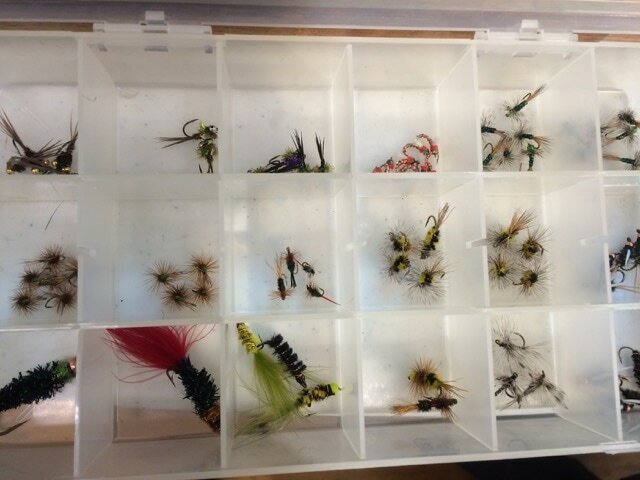 creating and sharing my passion for fly tying and fishing is soul food to say the least..... fish on friends! Geoff’s wife, Juliana is an oil and watercolor painter and member of the Aloft. Charles will be auctioning off the painting at the end of the evening. This is a great opportunity to purchase and original painting with a great story! 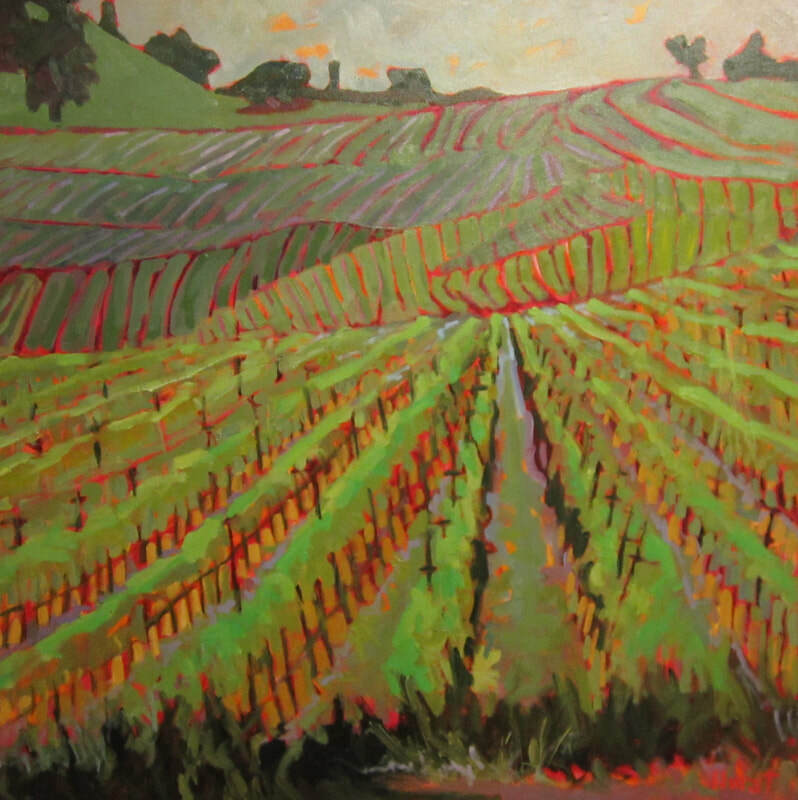 Charles Waldman began painting full-time in 1999 after practicing Family Medicine in Sonora (CA) for 22 years. He was born in Oakland (CA) in 1949 and had an early interest in art but didn’t start oil painting until 1987. He is mostly self-taught except for two workshops with Clyde Aspevig that were a major part of his education and got him painting on-location. This is where he does most of his work. The former physician is awed by the course of events since leaving medicine for Art. 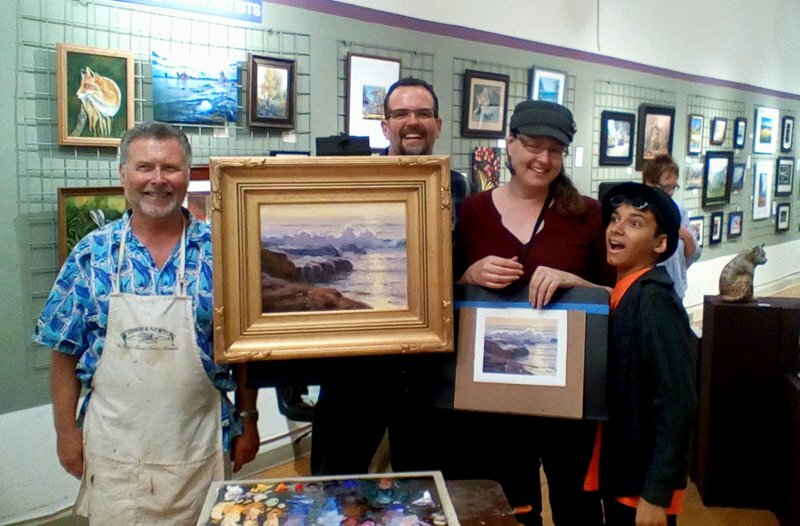 He was selected as an Artist Member of the California Art Club, The Laguna Plein Air Painters, “The Sea-to-Shining-Sea” Exhibition and has been invited to several group shows at the Haggin Museum in Stockton (CA). Recently, a painting of his was purchased for the collection of Mrs.Joan-Irvine Smith. The artist paints mostly in California and the West but also makes trips to other parts of the US (Maine in July 2006) and has traveled many times to France. 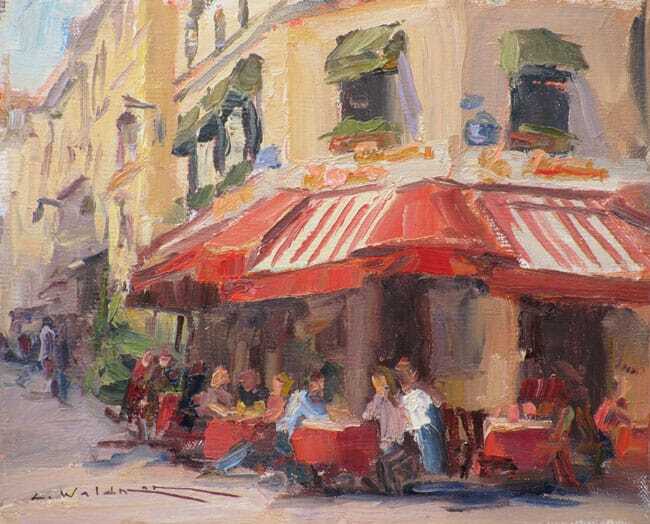 During month-long trips to France, he will often come home with 50 plein air studies. He teaches 2-3 workshops per year. 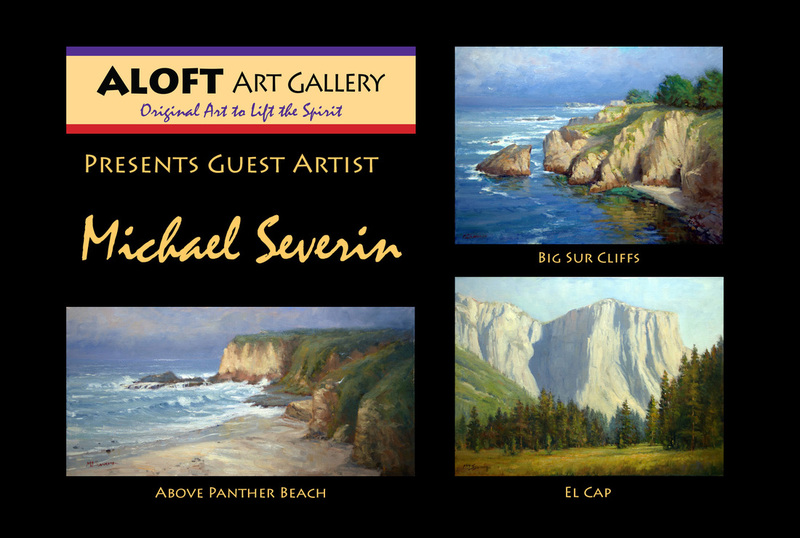 Michael Severin returns to paint a snow scene on November 12th. ​If you missed Michael's previous demos and auctions, now is your chance to bid on another winner! 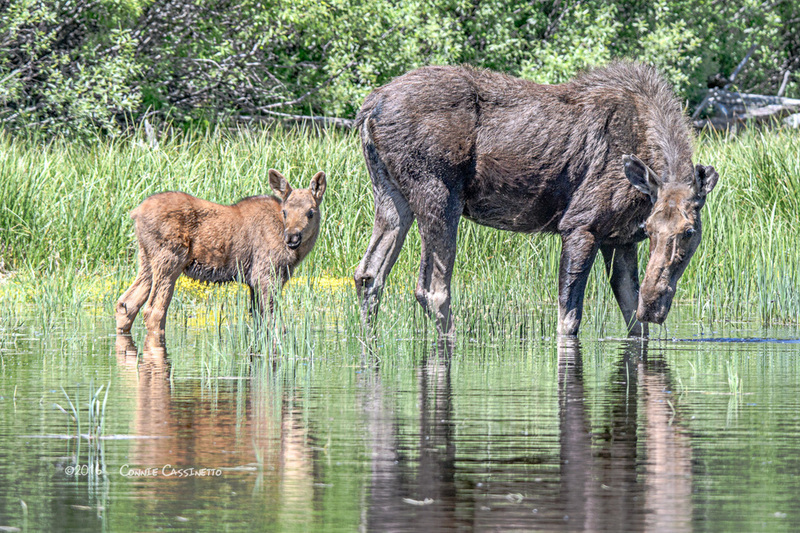 ​Be sure to see Connie Cassinetto’s wildlife photography in the window. They are beautifully presented in rustic barn wood frames made by Jack Cassinetto with old weathered wood from the Sardella Ranch. Juliana Tillman and her husband were September's winners. Congratulations! Steffanee was the highest bidder in October. Congratulations Steffanee! and Grand Tetons National Parks to learn more about animal photography, baby animals in particular. “Moose and Calf” was exactly what she was after! Continuing on her journey of wild animal photography, Connie will be traveling to Alaska in September on a grizzly bear quest and New Mexico in December to photograph birds. 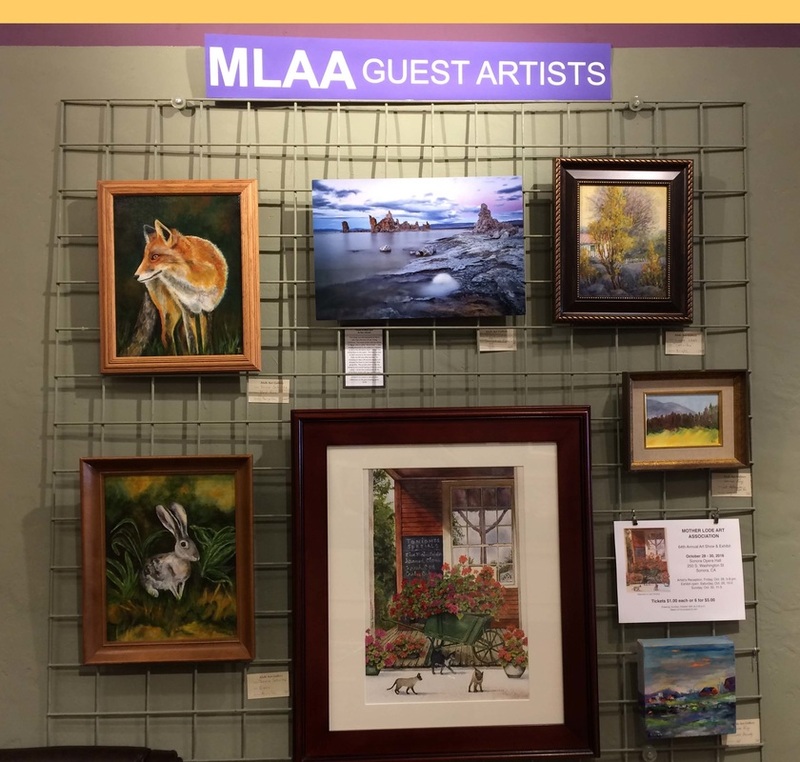 The Mother Lode Art Association maintains a space in the Aloft as one of its venues where members can show and sell their work. Two to three member artists are represented each quarter. For more on the Mother Lode Art Association please visit www.motherlodeartassociation.org.